The Youth section held a fantastic open day combined with a farewell event to ‘The Corrigans’ at Harrow Rugby Club last Saturday. The rain kept away long enough for the children to play a friendly mini ‘Go Games’ amongst themselves and enjoy the food and refreshments afterwards. However, it was with mixed emotions we gathered to say goodbye to Colin, Fiona, Beanón, Brea and Aoibhe who are returning to Ireland. Colin and Fiona have both been involved with Parnells Committee and coaching for a number of years and their drive, commitment and presence will be sorely missed as will the talented Beanón and Brea, fantastic players for Parnells who have also represented London. We wish them well as one chapter closes and another begins. Parnells are once again participating in the Gaelic 4 Girls programme in 2018, ‘kicking’ off on Wed 11th April 6.30 – 7.30pm at Harrow Rugby Club (HA7 4LF). Open to girls’ age 8-12yrs. Contact Maggie O’Rourke (07935 822730) or Monica O’Sullivan (07931 900647) for details. All newcomers welcome. The last indoor winter training session for girls takes place 28/4/18. Outdoor training TBA. Seniors and U14-U17 on a Tuesday at Whitmore High School, Harrow. Contact Dennis Diggins 07768 352680 (Senior), Tony Griffin 07966 160999 (Youth U14-U17). Outdoor training details for all other age groups to be announced soon. The club has launched their annual ‘Race For Sam & Liam’ competition. Entry Fee £10.00 and envelopes available from the Committee and Managers. The winning prize of £500 is up for grabs-as they say ‘you’ve got to be in it to win it’! Closing Date 5/5/2018. Diary Dates: The Dinner Dance date is on the 14th April 2018 at The Claddagh Ring. Contact Tony Griffin on 07966 160999 or Veronica Bailey on 07768 635534. The Youth’s U12/13 ‘Trip to Tipp’ is all set to go. Flights booked and the exciting and packed itinerary in place which will be available soon. A reminder that London Youth are running Safeguarding and Coaching Courses. Details from Tim Slattery (07719 513391). 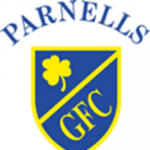 For all Parnells Club activity, please visit our website www.parnellsgaa.com where further details and information is published.